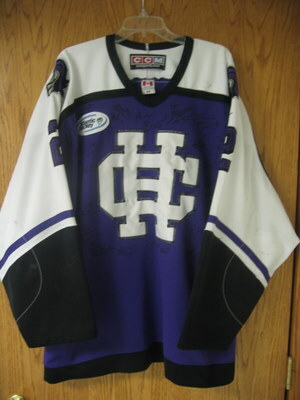 On this page we will display our collection of game worn jerseys. 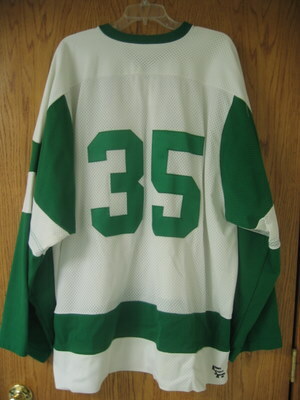 We started collecting game jerseys with the purchase of Andy Schneider's captain jersey at the Ralph Engelstad jersey auction in March of 2006. Once you start collecting "gamers" it is hard to stop! 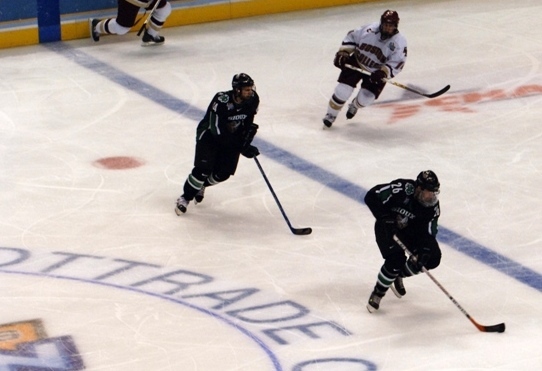 Since then we have added several and are always on the lookout for more. 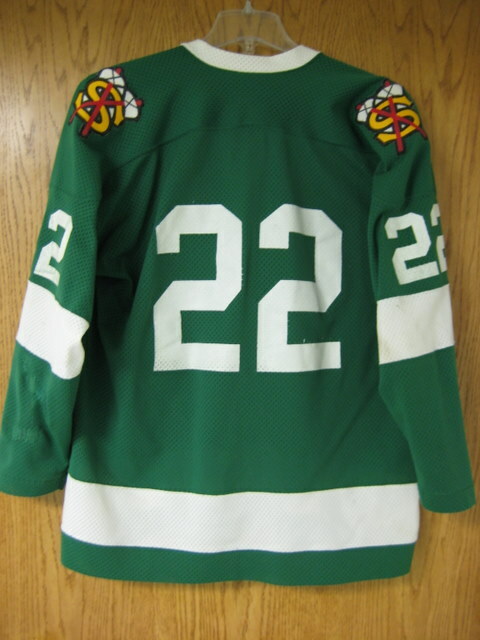 Our most prized jersey is a game worn Cary Eades jersey from the early 80's. 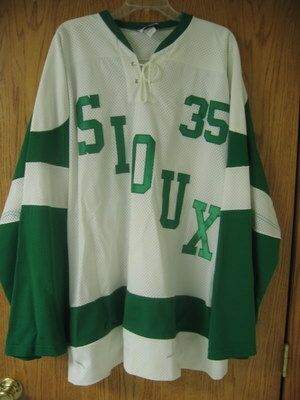 This jersey was given to us by a friend of the family whose parents had purchased the jersey in 1983 or 1984 at a UND auction. 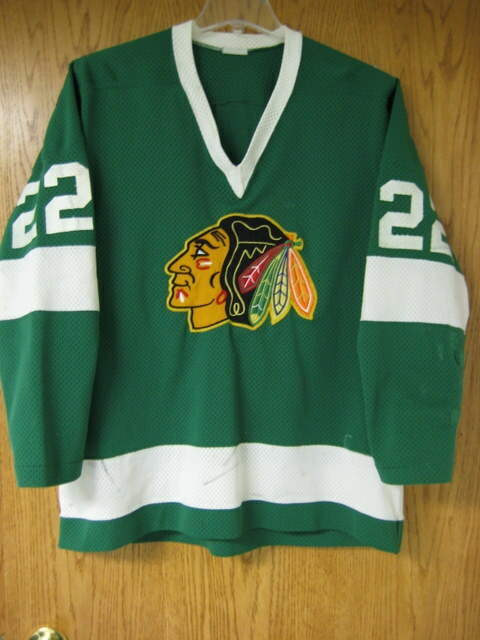 We are still working to verify the exact year the jersey was worn and if it could possibly be the jersey worn in the famous "Water Bottle Game" in 1982. 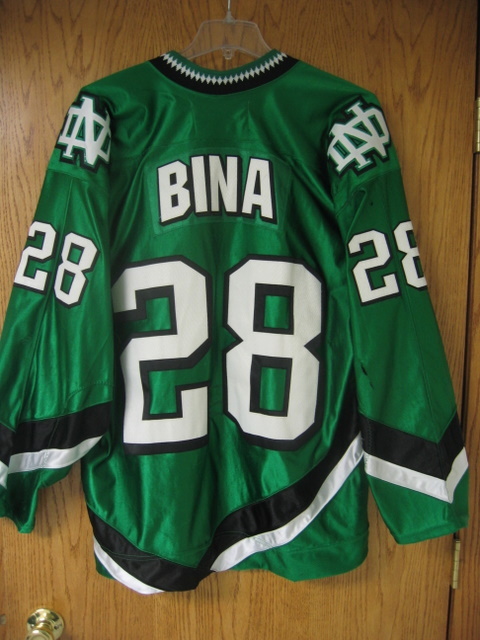 The second is an away, game worn Robbie Bina jersey from the 2006-07 season. 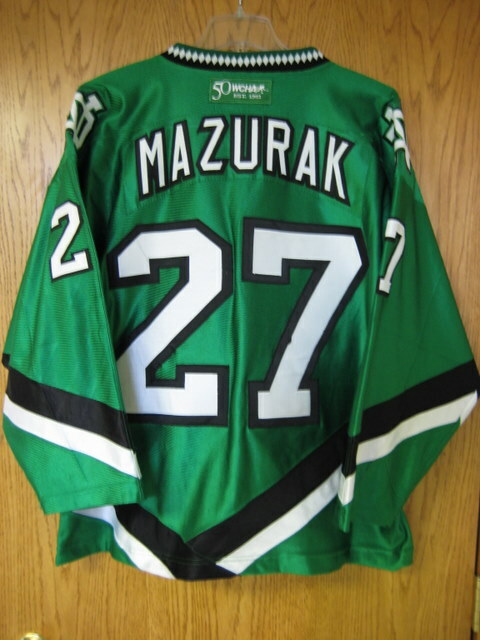 This jersey was purchased from UND at a REA game night auction in November of 2007. 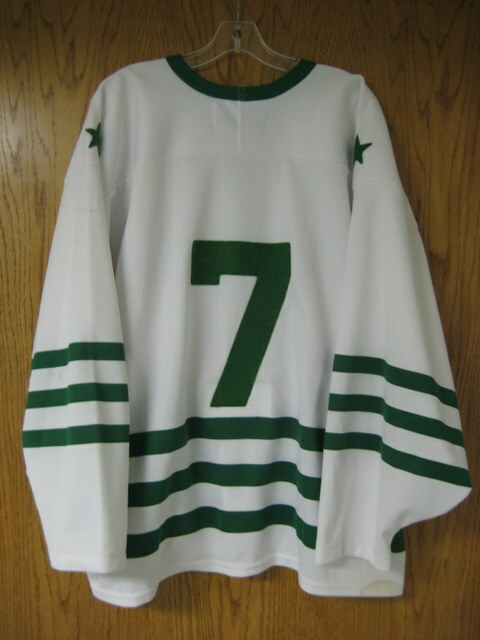 This is the jersey that Robbie scored his 178 ft. goal in against Minnesota at Mariucci Arena. 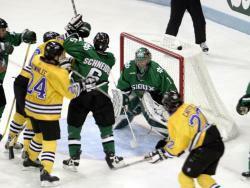 That was a sweet night as it completed the sweep and our first trip to the home of the Gophers. 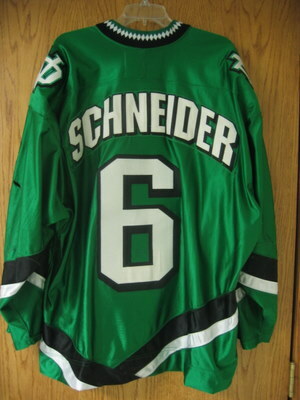 The third is an away, game worn, autographed Andy Schneider jersey from the 2003-04 season. 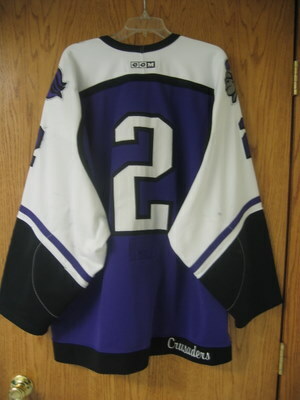 Since this was the first gamer it will always be special and the C makes it a true collector jersey. 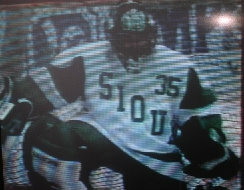 The fourth is an alternate, Nike Swift jersey with the St. Louis Frozen Four patch on it. 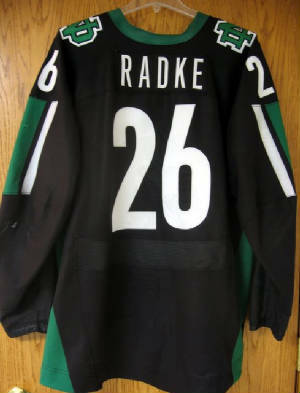 These jerseys are known as the "Black Magic" jerseys and this one was game worn by Kyle Radke during the 2006-07 season. 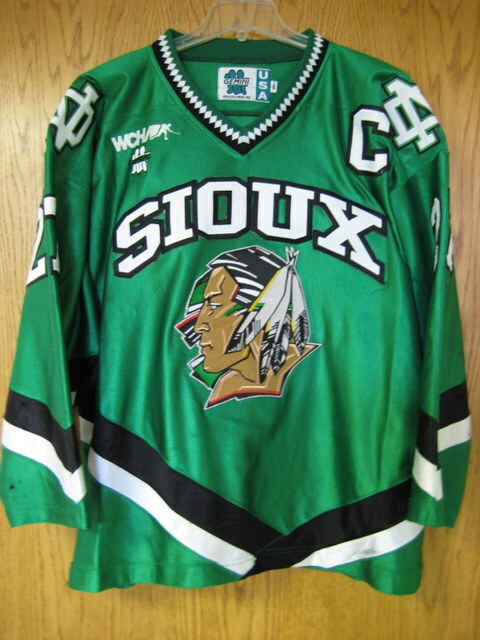 The Chad Mazurak jersey was is rare as it is a captains jersey and these were the first year for the new Sioux logo in the dazzle style Gemini jersey. 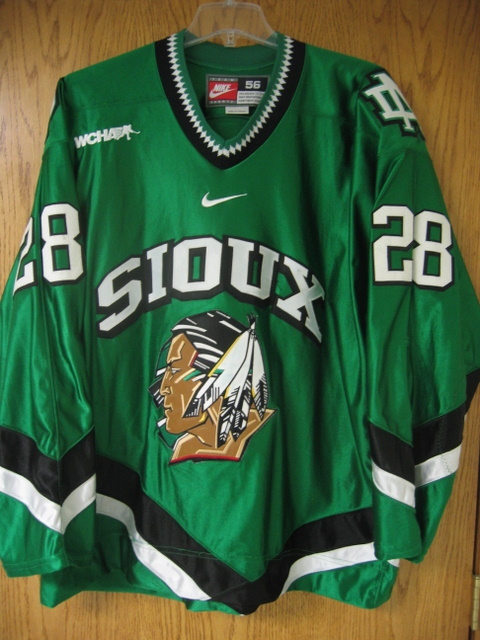 This jersey also includes the 50 year WCHA patch on the back. 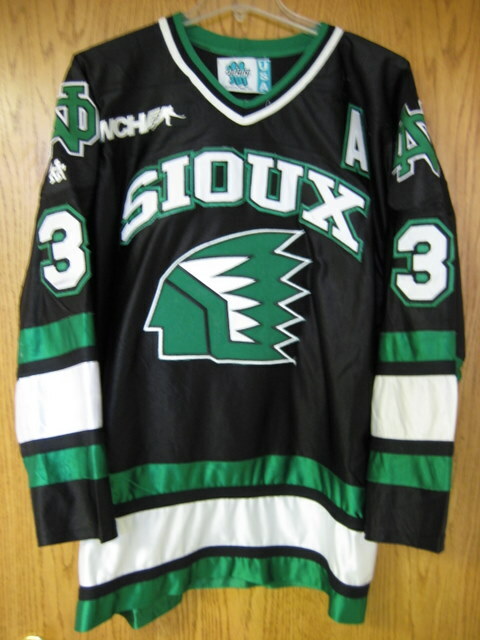 The first years UND used a third jersey was 1996-97 and that team won UND's sixth National Championship. 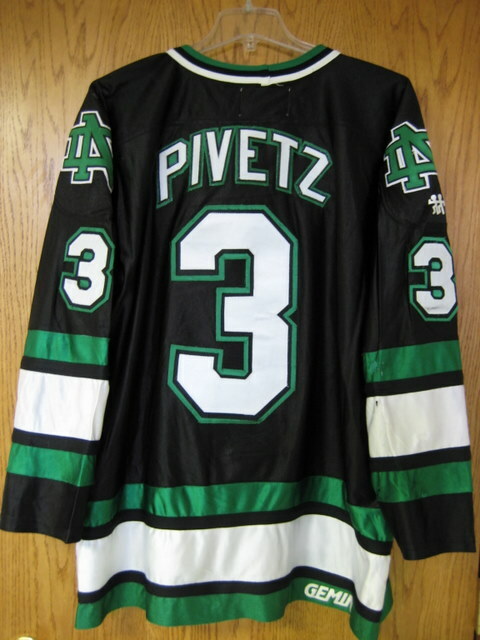 Mark Pivetz was an assistant captain that year and that makes this Gemini jersey a true collectible.199-97 jersey. 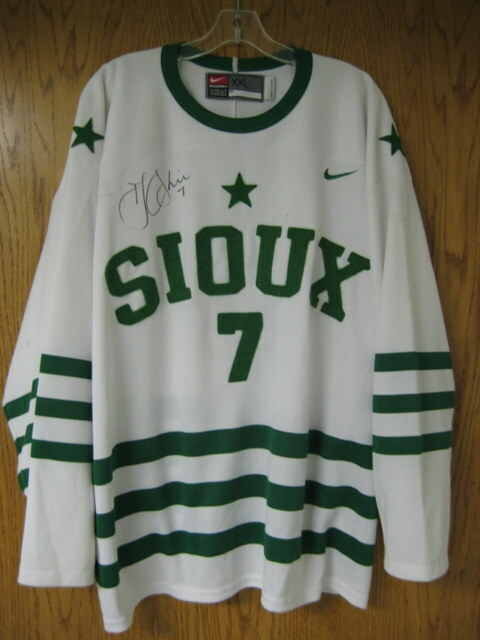 The most recent addition to our collection is a throwback white jersey worn by TJ Oshie in his freshman year at UND. 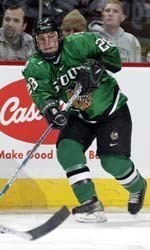 TJ recently turned pro and is playing with the St. Louis Blues. 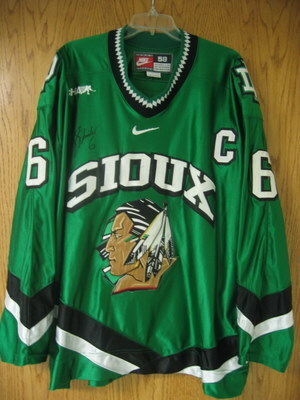 His father, Tim, had TJ autograph this jersey for us. 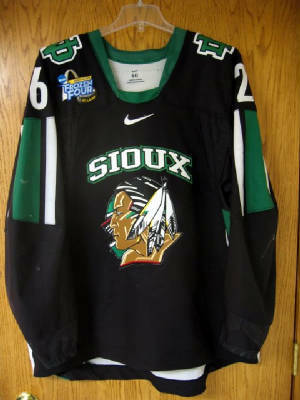 The only non-Sioux gamer is a Holy Cross game worn jersey that was worn by a member of the Holy Cross team that upset the "Golden Chokers" in the West Regional Tourney at the Ralph. 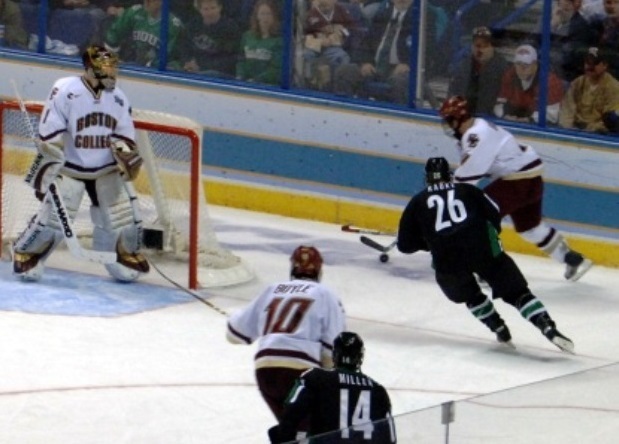 That was a special night for many reasons! 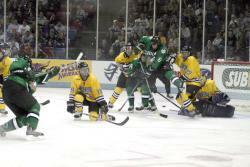 A great night at "The Ralph"